Pepper spray students in the face on Friday, and you wake up the face of evil on Saturday. Then, the brunt of some clever jokes on Monday. Look! There's Lieutenant John Pike popping into the famous painting, The Spirit of '76, and macing a wounded soldier while he's down. That's low. Now the symbol of French freedom, Delacroix's Liberty Leading the People. 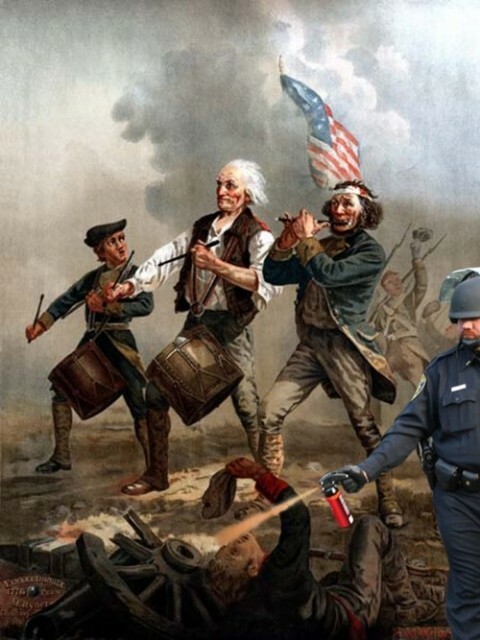 Is Pike using pepper spray? Or, on closer inspection, is that a shot of deodorant? Quel con ce mec. 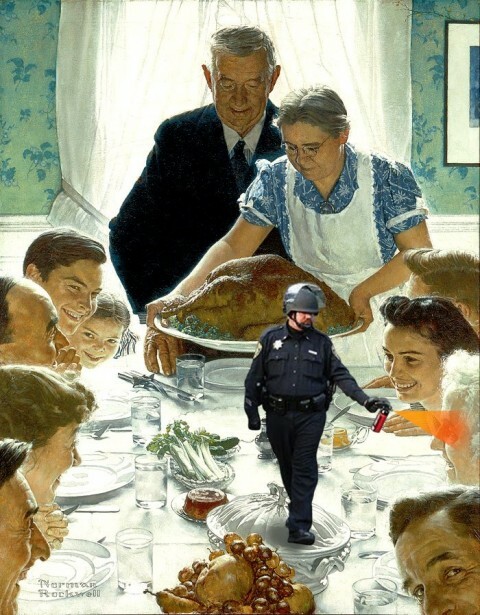 Freedom from Want is part of Norman Rockwell's Four Freedoms series of paintings. And guess who is ruining freedom, Thanksgiving and everything wholesome? Yes, he eventually desecrates Picasso's anti-war mural, Guernica, too. 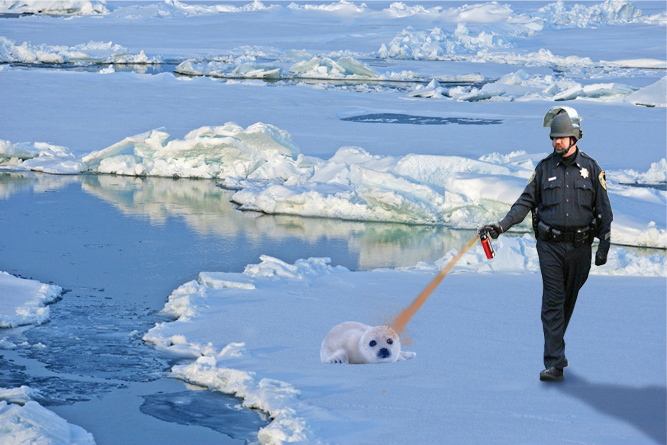 A baby seal? WTF Pike?!! 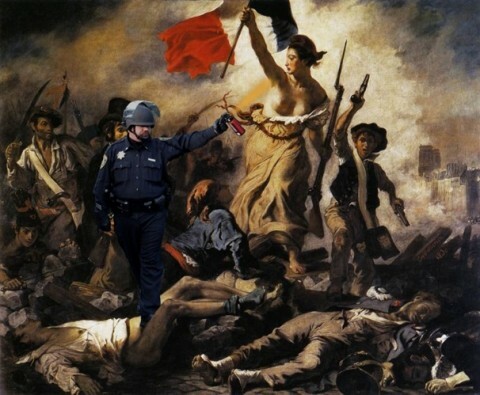 More art history fun awaits you at the PepperSprayingCop Tumblr site. Maybe slacker college kids should obey police orders and stop vandalizing public schools and threatening people’s lives. You’re right Gandhi. Whatever they do, they should do what your namesake did and always listen to police orders. I mean, sure, Gandhi was so bloody lazy sometimes he wouldn’t even eat for days, but still, he always listened to the proper authorities. Right? Hilarious! The Amazon pepper-spray comments are pitch-perfect, too. The OWSers do have a sense of humor. if you like you can work for me. If you Google John Pike and select images, there is a cutout of him that you too can add to your Holiday photos. Why not let this symbol of Americana be part of you family memories?